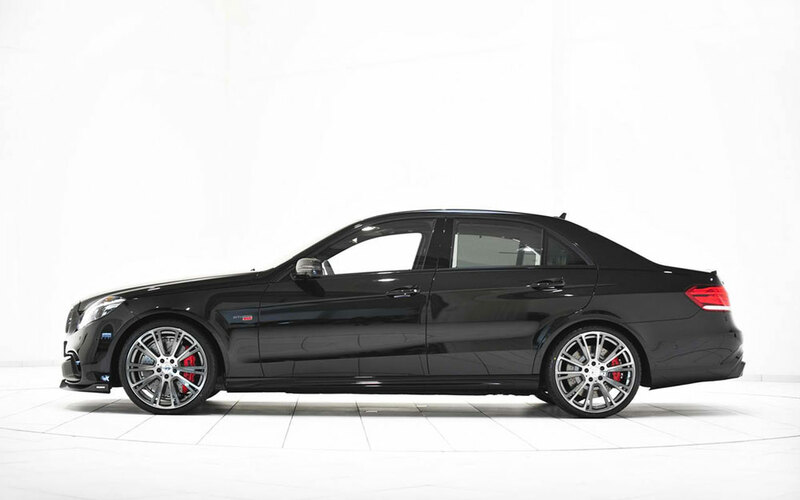 A Mercedes Benz E 63 AMG was recently reworked by Brabus. Known as the 2013 Brabus Mercedes-Benz E63 AMG 850 Biturbo, the car received a significant performance boost and an exterior visual upgrade. 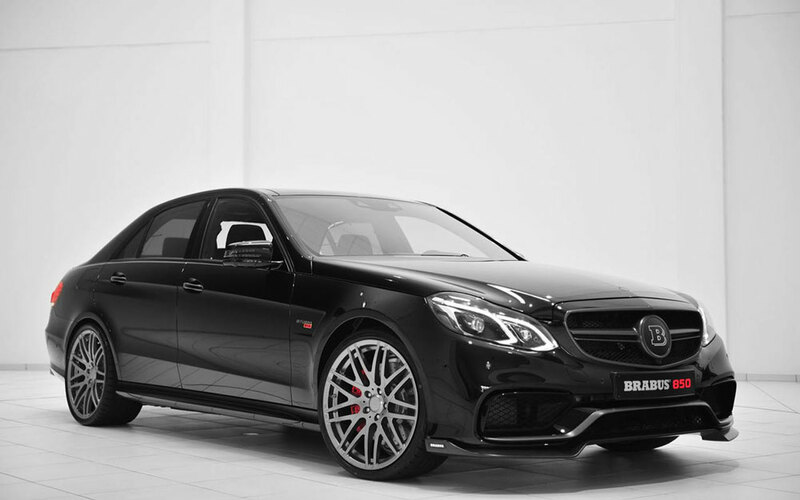 The engineers that designed the Brabus version call it the most powerful luxury sedan available today on the market due to the engine tweaks and the biturbo upgrade. The stock 6 liter V8 engine was paired with a twin turbocharger system that boosted its power to 838 horsepower. This power boost increased the torque to 1069 lb-ft. Becausethe seven speed manual gearbox has not been upgraded, the torque has been limited to 848 lb-ft.
Top speed is limited to 230 mph and the acceleration from 0 to 60 mph is done in 3.5 seconds. The body kit adds downforce to the front axle to improve road grip and stability at high speeds. Combined with the reduced weight through the use of carbon fiber elements, the car is notably superior to the stock model in terms of driving and handling. Visual enhancements of the E 63 AMG start with a new front bumper that adds two air intakes on the sides and a mesh grille in the middle, beneath the classic Mercedes one. The side received new skirts to go with the air outtake on the front wheel fenders, while the rear bumper experienced no changes. 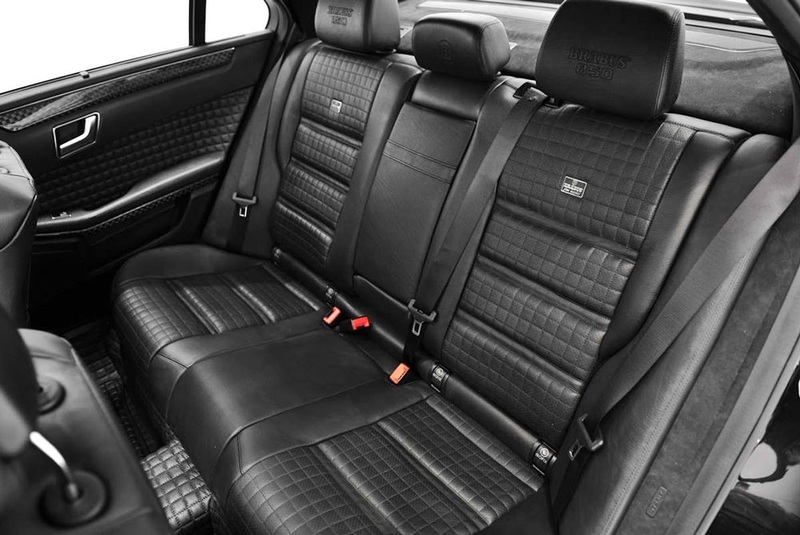 The interior features all leather dashboard and seats with your choice of colors. Additionally the floor has been covered in leather as well. On the driverâ€™s side, the gauges and instruments have been placed on a wide LCD screen behind the driving wheel. Chrome accents are strewn throughout the dashboard, steering wheel, and along the doors. Brabus worked on improving the key elements of the car. 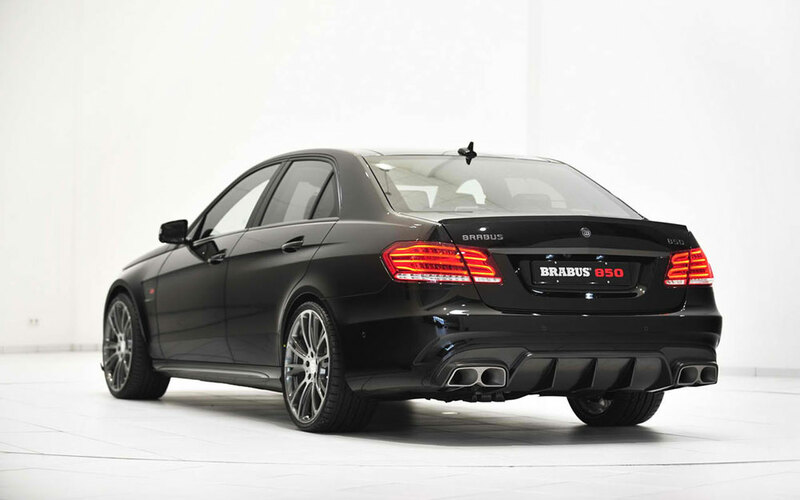 With an upgraded body kit, interior and engine, the 2013 Brabus Mercedes-Benz E 63 AMG 850 Biturbo manages to stand side by side amongst the most powerful luxury sedans of today.